We don't send out millions of e-mails to clog up your inbox. Our newsletter provides you with new show schedules, updates, new projects and special offers that only go out to the recipients of this newsletter. It's a short summary of what we post on Facebook or our other venues. We know your lives are busy and already full of info, so we hope this will help you keep up with us in a more condensed way. Of course, you may unsubscribe at any time, so give it a try, we hope you'll join us! 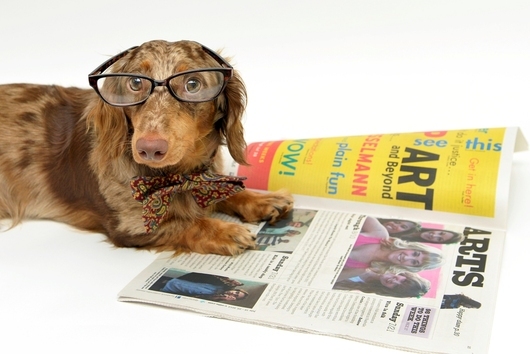 Our Editor in Chief, Titus the Teckel, will keep you abreast of all of LLB's latest news.